Controlling your own financial destiny is a goal most of us desire - it makes almost anything you want in life possible. If your job or career isn't taking you where you want to go, Aloe Bee Solutions, working with Forever Living Products, offer a great opportunity to change your course. You, or your partner and you, can earn what you are truly worth. If you join our team, we provide you with a professional and easy way to build your own business on a part-time basis working alongside existing commitments. Or you may decide to build a full-time role as your income increases. As an independent distributor of natural products, you would earn an income through recommending a market-leading range of health, nutrition and beauty products based on natural aloe vera and bee ingredients, and through helping and coaching others to do the same. How much you earn, depends on you and the effort you put in, there is no financial ceiling. You do have to work hard for your earnings, but you will be completely flexible in doing so - determining how many hours you put in, when you work, where you work, and with whom. And you can start without having to pay an entrance or membership fee, and without the risk of a financial investment. This opportunity is open to everyone, and you don't need any previous experience or qualifications - perfectly ordinary people joining our Forever team have the chance to succeed. Forever has won a gold Investors in People award, so you can be assured of the best training and support! In this world of technology and connectivity, it doesn't matter anymore where you live. Our team is international and multi-lingual, and we will be happy to help, support and train you, wherever you are. What we do, is Team Marketing - basically a personal recommendation system in which you earn money together with a team. This is a well respected sales method, it has nothing to do with illegal schemes, and it's successful! It is quickly proving to be the profession of choice for the 21st Century. And it's not adversely affected by the financial crisis at all - on the contrary, the profits of both the company and its distributors have only dramatically risen. They have risen every year since 1978, and that trend has only increased over the past years. Come and claim your part of it! - Do you want a different lifestyle! How about this one? Watch a day in the life of Emma Cooper. 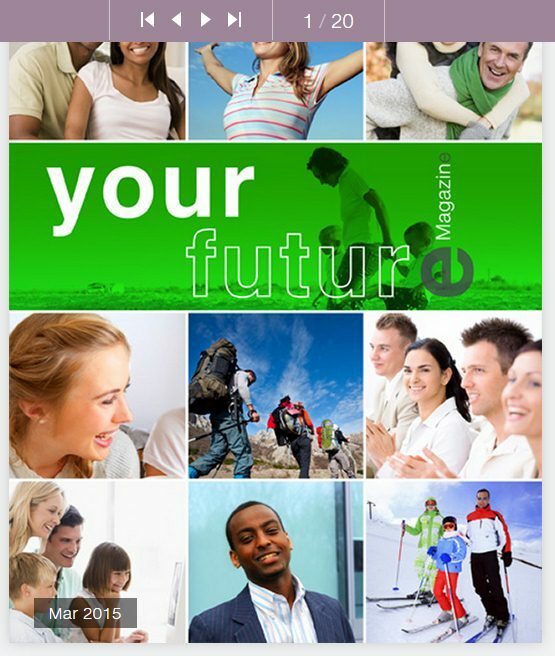 - You can read more about shaping your own financial future in the Your Future eMagazine.